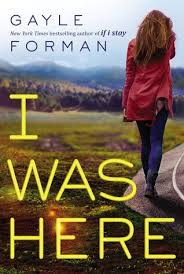 I always forget until I'm reading her books the kind of writer Forman is...that she has the ability to grab me right in my heart. She is thoughtful and perceptive and her books really make me care about the characters. I Was Here was no exception. The subject matter is incredibly heavy as it deals with suicide and those left behind. Cody's best friend kills herself and Cody finds it such a shock that she wants to find out why. 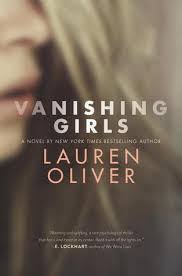 The depth and anguish felt true to life and while there was a romantic development I struggled with, I ultimately loved this book. It's not an easy read but it felt worth my time for helping me to understand even more how hard life is, the influence we have on each other and the importance of forgiving ourselves. Whenever national disasters happen, we often think of them for a news cycle and then they fade from memory. 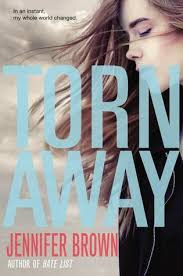 Torn Away is the story of Jersey who endures a horrible tornado in her midwest town. Going from the catastrophic storm itself to the unthinkable aftermath, Jersey's is the story of someone who loses their entire life in the storm. Like Hate List, this book made me cry a lot as Jersey struggles to make sense of her life in the aftermath, the memory of those she's lost, and finding a new place for herself in the world. Riveting and emotional, I definitely recommend this one! I love Sara Zarr's books and this was no exception. 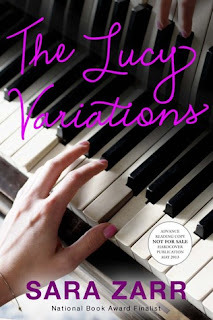 Lucy is a piano protege until a family loss makes her want to stop forever. But when her brother starts getting taught by a new young teacher, she finds herself interested in returning to playing. But is this new teacher just using her? Lucy struggles with finding her own creative voice, autonomy over her gift and growing up in this book that is thoughtful and considerate of the many emotional depths in a young girl. I love how Lucy comes to take ownership over her playing AND her decisions in a way that is extremely satisfying. Recommend! I enjoyed this book in that I was completely gripped by it while I was reading it. My emotions and mind were engaged. But there's a twist that once I realized it, I felt overall frustrated with the book. I really don't want to go into more detail than that, but it was still a great read!